Tennessee Landlord Forms are essential for you to have available since any given situation can arise at any given time. If you do not have the right form when you need it, you are not the only one likely to feel frustrated; your tenant will feel frustrated at not having the form needed for the given situation. It is the tenant’s right to have copies of forms necessary to the tenancy. When you ensure that all necessary Tennessee Landlord Forms are always available, your business as a landlord will likely run a lot smoother. Having the written Residential Rental Agreement is the most important landlord form to each tenancy. 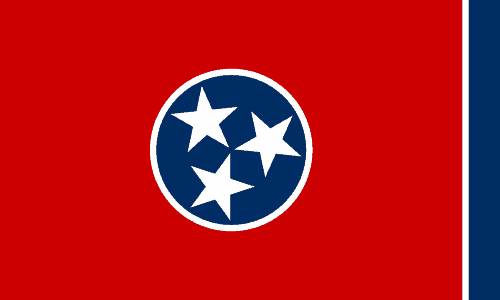 The Tennessee Uniform Residential Landlord and Tenant Act requires that landlords give a five day grace period for rent payments before assessing a late fee or other penalties if the rental property is in an area where the population exceeds 250,000 according to census records. You want to make sure that you comply with all statutes under Tennessee landlord and tenant laws, which means that a vague lease agreement drawn up by you may not suffice as a legal, acceptable rental agreement document under the law. You do not have to pay expensive legal fees often associated with creating a written residential lease and other Tennessee Landlord Forms. The American Apartment Owners Association has all the forms you need as a landlord of rental properties, whether you only have one, two, or a hundred and two rental properties in the State of Tennessee. Trusting in the professionally created Tennessee Landlord Forms potentially saves you a great deal of money and gives you the assurance that you have the right forms at the right time that complies with the statutes of the Tennessee Uniform Residential Landlord and Tenant Act. A rent receipt is the most basic of the Tennessee Landlord Forms. The rent receipt not only provides proof that the tenant paid rent but gives you the records you need for all your tenancies. After you approve the tenant to rent one of your properties the Move In/Move out Checklists is essential for each of your rental properties. You and the tenant go through the property and note in writing if there are any damages to the premises or anything in need of repair. The Move Out checklist is used when the tenant has vacated the property and has removed all furnishings. Both you and the tenant once again go through the property and note any damages or need for repair. The cost of repairs necessary beyond normal wear and tear to the property is often passed along to the tenant. If the tenant pays a security deposit, the landlord must maintain the security deposit in a separate account and return the security deposit at the end of the tenancy. If the tenant caused damages to the premises, you will need to list the damages on the Disposition of Security Deposit, an essential form to have for each tenancy. The landlord then sends the Disposition of Security Deposit to the tenant along with any remaining portion of the security deposit. The Notice of Entry gives tenants notice that the landlord needs to gain access to the property to make repairs or for other legitimate reasons. The landlord cannot abuse the right of access, however. Providing the Notice of Entry gives your tenants proper notice of the date and time that you need access. A landlord may at times need to make changes to the lease agreement. If you want to change the pet policy or the parking rules, for example, you need the Notice of Changes in terms of Tenancy. Tenants can say they were never informed of changes if you do not put in writing any changes that you make. This Tennessee Landlord Form provides documentation of the changes and provides the written record you need. If a tenant fails to pay rent in a timely manner, the Past Due Rent Notice advises the tenant that rent is past due. This is the first of the Tennessee Landlord Forms needed for non-compliant tenants who fail to pay rent on time. The Notice to Pay Rent or Quit Notice advises tenants to pay all past due rent immediately or to vacate the premises. If the tenant still refuses to pay the past due rent, Tennessee landlords may provide the Notice of Termination of Tenancy and proceed with action to recover the premises, essentially evicting the tenant. Having the Tennessee Landlord Forms that you need when you need them makes the landlord tenant arrangement run smoother and saves you the expensive costs related to attorney fees for drawing up Tennessee Landlord Forms. Get all the forms you need from American Apartment Owners Association, a trusted source for all your Tennessee Landlord Forms. The American Apartment Owners Association provides landlord forms nationwide. Looking for a state other than Tennessee?